Interested in installing your own UltraGuard vinyl fencing? We offer a variety of tips and tricks as well as full, downloadable installation guides. Click on the link to download instructions on how to install UltraGuard semi-privacy fences. Getting most types of UltraGuard fences installed will follow a similar process, though most fencing materials will come with a custom installation manual. Keep in mind: These installation guidelines should prove successful in conditions where winds are light to moderate and soil conditions are stable. 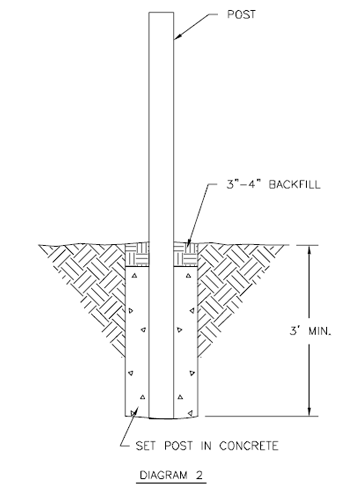 In conditions where wind loads are high or soil is less stable, other practices may be desired such as: Using larger holes for posts, installing rebar in each post, and filling the inside with concrete to approximately 1′ to 2′ above grade. Step 1: Survey the land for special features, obstructions, underground cables, and concrete from old fence. Be sure to follow all local building codes and obtain a building permit if necessary. If underground utility lines are present, contact your utility companies before digging. Step 4: Dig post holes – remove string line without moving stakes. Using a post hole digger or auger bit (8″ for 4″ posts, 10″ for 5″ posts) dig down to proper depth while staying as plumb as possible. 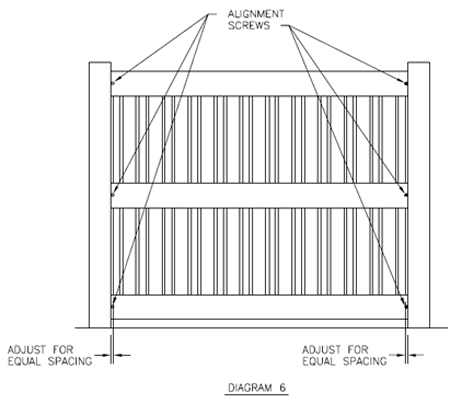 Repeat for every 6′ or 8′ mark as well as gate openings. Accuracy in depth helps to simplify installation. Note: Recommended depth of holes to be 3′-0″ minimum- check local codes and frostline as greater depths may be required. Step 6: Set proper post in each hole (end, corner, line). Cleanup of some holes may be necessary due to large rocks or roots. Some posts may need to be cut. Use a level and hold the post in its desired location. 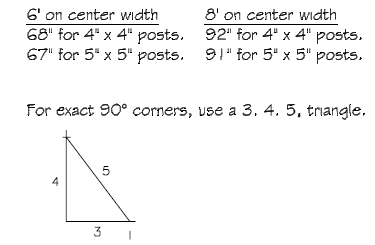 (Check height, distance from the next post, distance from string line, and plumb). Post should be kept at a slight distance from the string line so as not to deflect line. 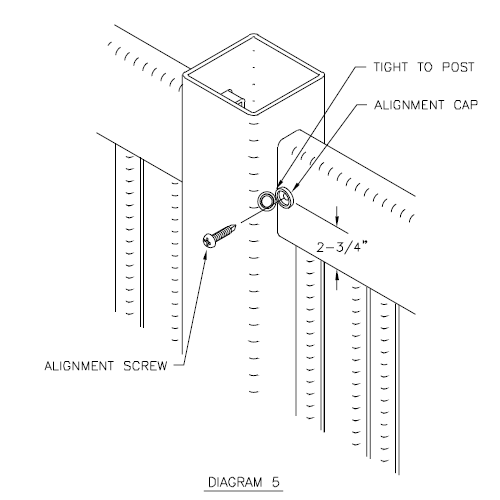 Use spacing jig as described in the full installation manual to aid in post spacing. Repeat until all posts are lightly set (still adjustable). Note: It is recommended that concrete foundations be allowed to set at least 24 hours before continuing to Step 8. 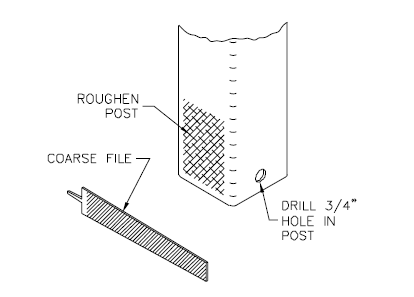 Note: To prevent up-heaving posts, either use a coarse file to roughen up the post or drill 3/4″ hole on each side of the post near the bottom. Step 8: Weep holes should be drilled in bottom of lower rail, especially if posts are filled with concrete. 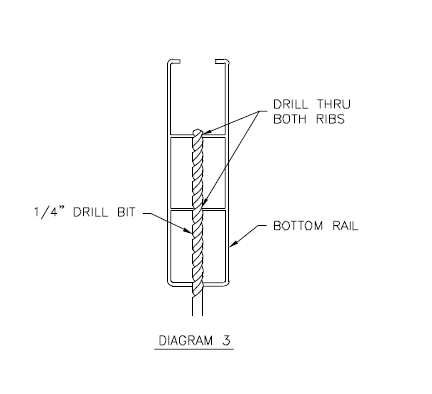 Using a 1/4″ drill bit that is 4″ long (from drill chuck), drill 3 holes- one in center and the other two at each end of rail, approximately 8 to 12 inches from the end. Holes should be drilled from bottom and through both internal ribs in the rail. (See Diagram 3.) 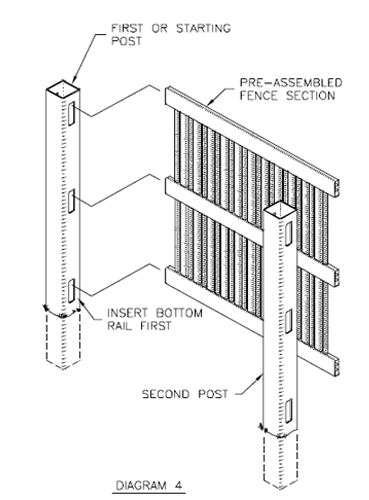 This will prevent moisture from collecting in the rail and increase the longevity of your fence. Step 9: Install pre-assembled fence sections. Starting from one end, insert the bottom rail into the first post, then follow with the mid and top rails. Push the rails into the routed hols until the notch engages properly. Moving to the free end of the vinyl fencing section, finish installing the section into the second post. Insert the bottom rail first by firmly pushing the rail into the first post and then swing the free end up over the bottom hole in the second post. Push the rail down until it snaps into the lower hole. Complete the installation by inserting mid and top rails. 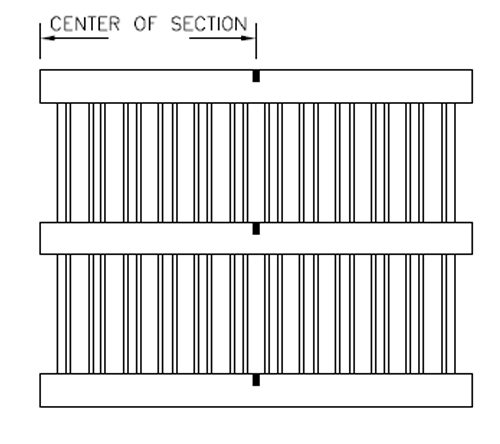 Step 10: Continue installing sections as indicated in Step 9 until all sections are secured in the posts. Step 12: Clean up fence and put caps on all posts. Take care in wiping down the entire fence, especially any concrete which may be on the posts or the ground. 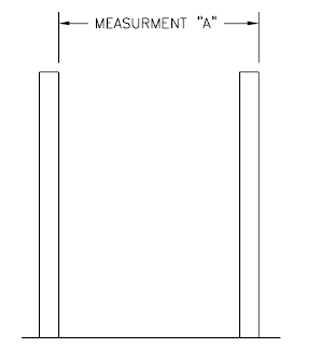 Step 1: Using a tape measure, find “A” (the measurement of the center of one post to the center of the next post) and write down the number. Step 2: Locate the center point of the section and mark it with a pencil or piece of chalk as show. 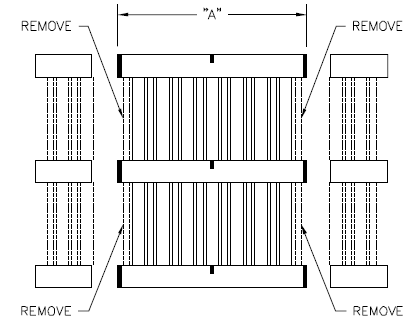 For 6′ fence sections, you want roughly 35 7/8″. 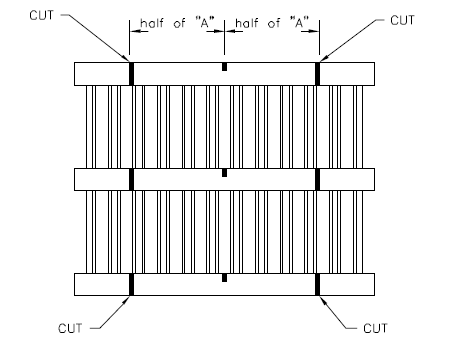 For 8′ sections, you want roughly 47 7/8″. Step 4: After unnecessary pickets have been removed, notch the rails and the section will be ready to install.